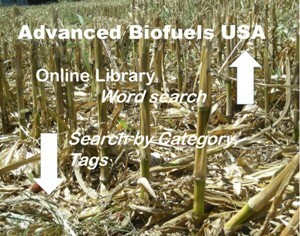 Advanced Biofuels USA is currently an all-volunteer organization. While the positions listed below are unpaid to start, salaries are possible once sufficient funding has been generated. The initial fundraising/development team will focus on building the infrastructure and funding base that will enable us to achieve our mission. The team will raise funding through private, corporate, and foundation donations; plan, implement and oversee a comprehensive development program that secures significant financial and/or in-kind resources from individuals, foundations, or corporations that support Advanced Biofuels USA’s goals and manages principal gifts, donor prospecting and research. The public will better understand the advantages and benefits of advanced biofuels if they understand better the science and economics related to this emerging industry. Thus, of great importance is the educational component of our mission. We would like to develop curriculum-based materials for science, social studies, and other appropriate subjects for students in elementary through high school. Once these materials are developed, we will provide training to teachers, develop “traveling trunk” material lists and other resources to help today’s students and their families understand the conceptual foundations of moving the world from dependence on fossil fuels. Managing the office, billing, maintaining reports needed for tax purposes, keeping the web site and related media outreach properly maintained and updated; researching activities in technological research, agronomy, legislation, regulation and public policy; and other business development tasks are crucial to the smooth operation and continued service of Advanced Biofuels USA. Advanced Biofuels USA aims high to reach its goals of helping people understand the promise of advanced biofuels and nurturing a developing new industry. Join us in our efforts to bring us to a bright, sustainable future. While helpful, it is not always necessary to live anywhere near Frederick, Maryland, where our main office is, to apply for these positions. 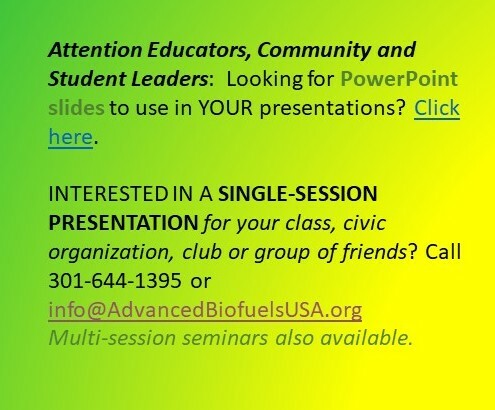 Identify and make presentations to potential funders and investors whose values are aligned with those of Advanced Biofuels USA including individuals, organizations, companies and foundations. Identify Foundations and other grant-making organizations that are a “good fit” with Advanced Biofuels USA; write and submit grant applications to them. Schedule, assign and supervise volunteers on tasks from the list of volunteer opportunities. Manage the Educational Materials Team. Researching relevant standard K-12 curricula that have objectives that could be met using as context the vast world of advanced biofuels. Working with experts in the fields, creating teaching materials and lesson plans that meet the curriculum objects by using advanced biofuels fundamentals as the context. Developing activities and creative presentations for adult audienced such as campus environmental or science groups; faith-based stewardship meetings; civic organizations; farm bureaus, granges, 4H and FAA groups, etc. 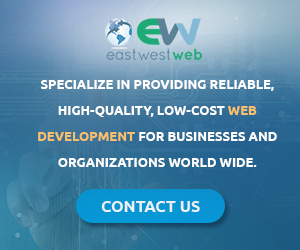 Developing training materials, presentations and events to deploy the educational materials. Creating and implementing a program to train volunteers to make presentations, conduct activities. Monitor House and Senate hearings and federal agency hearings on topics related to biofuels and advanced biofuels. 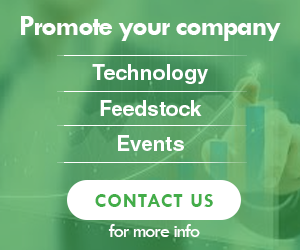 Possibly attend other events such as local conferences as a representative of Advanced Biofuels USA. Write reports on hearings and events for organization use and for possible online publication. Background or interest in biology, biochemistry, agriculture, and/or automotive engineering helpful. While all these positions are volunteer (unpaid) to start, salaries are possible once sufficient funding has been generated. What inspires you about working to promote understanding, acceptance and use of advanced biofuels.